Will not crack or bend like the other oil filter wrenches on the market. Oil filter wrench provides maximum torque with multiple contact points and will not damage filter cartridges. More contact area - will not damage the filter housing by slipping due to poor design or construction. Please make sure it is compatible with your Car Model before purchasing . 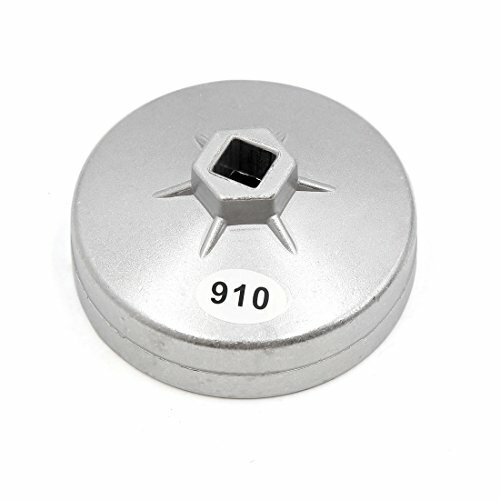 Dimension: 8 x 4cm/ 3.1" x 1.6"(D*H); Hex Head Size: 25mm/ 1"
Square Socket Size: 13mm/ 1/2"; Inside Diameter: 95mm/ 3.7"